New kitchens are a serious investment and can completely transform how you live. With some careful planning, you can create your dream kitchen that will not only look great but also be practical. 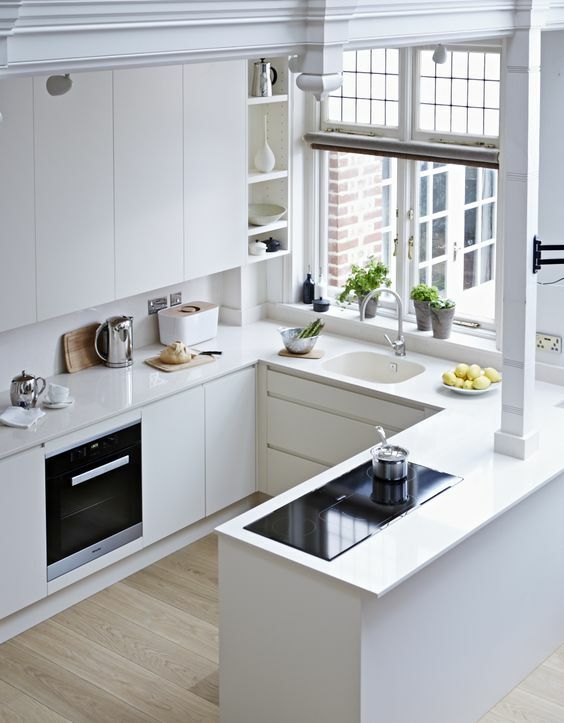 Here are our tips when planning your new kitchen! Most kitchen layouts can adopt the working triangle which is a three-point guide for the placement of the sink, fridge and cooking areas. This rule of thumb works well and is about keeping the most-used areas of the kitchen in close enough proximity to each other. Ideally the triangle should be no more than 7 metres in distance in total but no less than 3.6 metres to allow for plenty of room for food preparation between the appliances. Try and keep the working triangle away from areas of high footfall, particularly if you have young children running through the kitchen! Keep the dishwasher near the sink and also make sure your bin is located close to the dishwasher too - this will make cleaning up much easier. Lastly, leave at least 30 cm either side of the cooker to allow for food preparation and a place to leave pots. Allow at least 90 cm behind your cabinets so that you have enough room to comfortably open drawers and cupboard doors - ideally this would be 1.2 metres if you have the space. Carefully consider the proportions of your room. For example, don't squash in a small island unit if you really don't have the space - it won't look right and will spoil your kitchen. There are plenty of great alternative such as a peninsula, placing the island against the wall or a butchers block which can be moved. 3. Do you have enough of the right kind of cupboards? 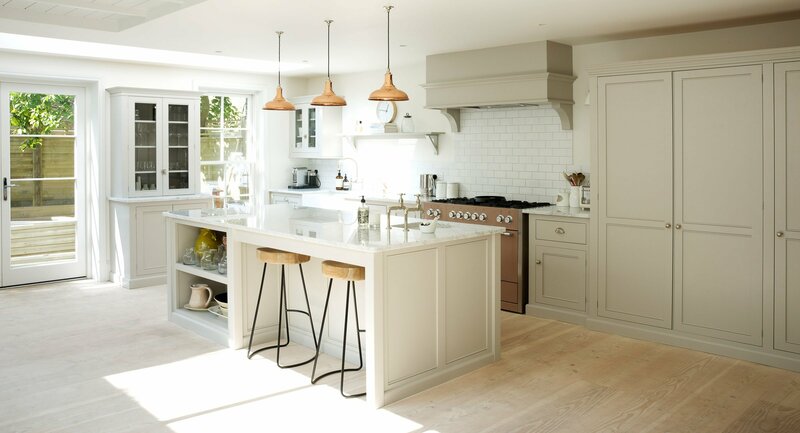 Plan exactly what you need to have in your kitchen and make sure you incorporate enough cupboard space and also the right kind of cupboards and drawers. Opt for plenty of wide drawers for pots and even plates. Instead of having cabinets hung on the wall, consider having one wall with floor to ceiling cabinets and leave the rest of the wall space free, this will help with the site lines and make your space feel larger. Choose a mixture of cupboards and drawers. Corner carousels are brilliant to gain easy access to the back of a corner unit and use what would be previously wasted space. 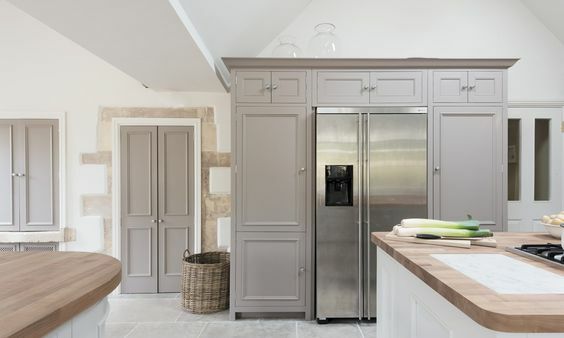 Consider a larder or pantry which can range from a traditional freestanding larder to a narrow pull out larder integrated into a tall cupboard. Lighting is so important in the kitchen and something that we often think about later in the process after choosing the kitchen. 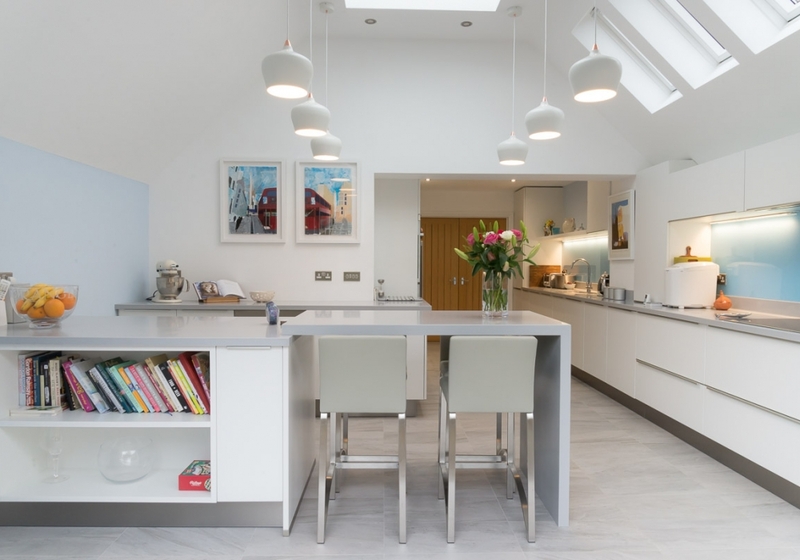 But you should draw up a lighting plan early on as carefully chosen light can really add to the look of your kitchen. Pendant lights look great hanging over an island unit or dining table, but make sure they are not too large and end up dominating and obstruct your line of sight. Most people incorporate spotlights but a common mistake is to include too few. Plan for the spotlights to be 1 metre apart and 1.5 metres away from the wall and put the lights on a dimmer switch so you can change the lighting throughout the day. If your kitchen is large, consider having your spotlights on 2-3 different circuits so you can light up separate zones in your kitchen. LED strips are a great idea for underneath wall and floor cabinets and they create an ultra modern look. 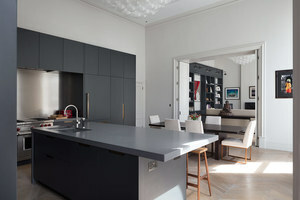 If you want a softer look go for down-lights under the cabinets which will brighten up dark corners. Lights under the cabinets create some mood lighting in the evening if you are entertaining friends and family. If you are carrying out a full-scale renovation, it's a great time to install underfloor heating. It is an investment to install, however wet underfloor heating is cheaper to run than conventional radiators given the lower temperature required (electric underfloor heating will cost too much to run). Underfloor heating will free up some wall space where you previously had radiators. 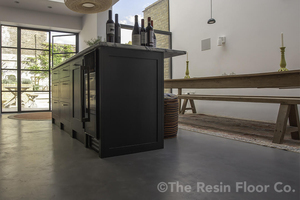 Tiles conduct the heat the best for underfloor heating but most engineered wood, laminate and vinyl flooring can also be used with underfloor heating. If you don't want underfloor heating then have a think about the positioning of the radiators. Keep them near the dining area rather than in the centre of the kitchen. If you don't have much wall space, consider installing tall wall radiators for a modern look. 6. How many electric points do you need? Have a good think about which appliances you use regularly and make sure you have the sockets in the right place. Many people now incorporate a pop up socket into the island unit, which can include a USB charger. Make sure electric points are spread out around the kitchen so that you don't have too many appliances clustered together. Countertop cabinets are currently a popular choice where you can keep your electric points and appliances hidden behind the cupboard when you are not using them. 7. How do you want to use your kitchen? Do you want your kitchen to be a sociable space which you can use for entertaining? Do you see your children playing and doing homework or do you want to use it solely as a kitchen with a dining area? If you want to use your kitchen as a multi-functional space, incorporate different zones so you can keep homework separate to the food preparation. Also carefully consider the materials that you use throughout the kitchen. If you have a young family then go for flooring such as vinyl that will take a lot of wear and not mark or stain - they are also softer so work well if you have small toddlers falling over! If you love cooking, choose a worktop that is low maintenance and non-porous - don't choose marble as you will have to continuously clean it!